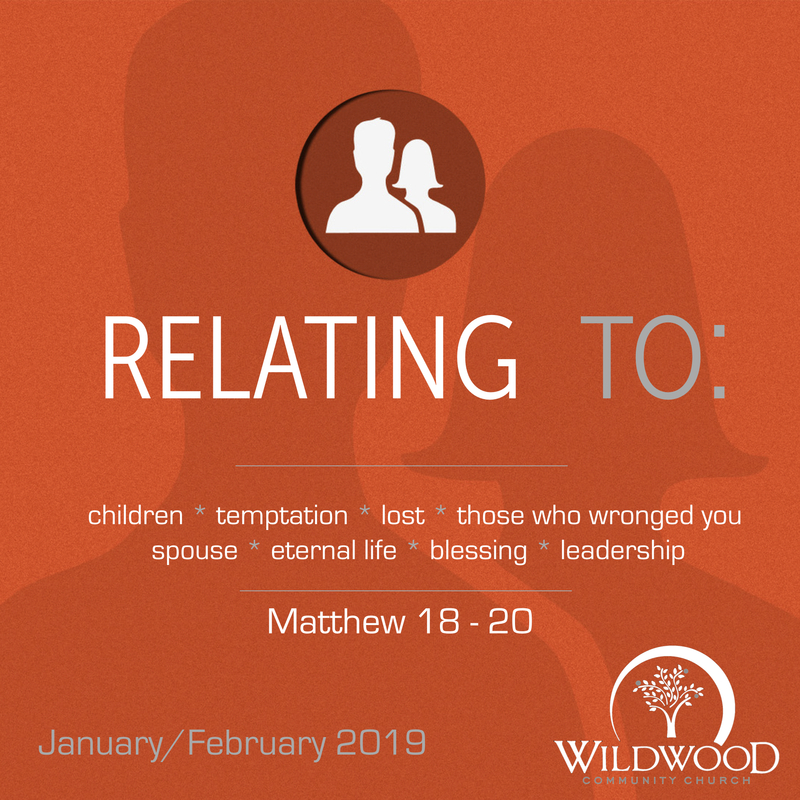 On Sunday, February 3, 2019 at Wildwood Community Church, I preached a sermon based on Matthew 19:1-12. This message was the fifth part in the “Relating to ______” series and focused on relating to your spouse. Below are a set of questions connected to the message for personal reflection or group discussion. If you are married (or have watched closely the marriages of others) what kinds of challenges have you observed about married life? The Pharisees want to talk to Jesus about divorce, but mostly Jesus talks to them about marriage. What does this tell you about Jesus’ perspective on marriage and divorce? Jesus talks of husbands and wives being “one.” What do you think He means by this, and what are the implications of this idea? What are some of the reasons people state for getting divorced today? How does that connect with what Jesus says in Matthew 19 (and what Paul says in 1 Corinthians 7)? If you are single (either never married or divorced/widowed and not yet remarried) how do Jesus’ words in 19:10-12 personally effect you?